Measures ammonia to help prevent fish loss. Taking a few minutes each week to maintain and monitor aquarium conditions is the key to a healthy aquarium. Fish continually release ammonia through their gills, urine and solid waste. Uneaten food and decaying organic matter also add ammonia to the water. Even small amounts of ammonia stress fish; large amounts of ammonia will kill fish. Ammonia is the number one killer of tropical fish. 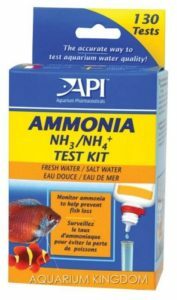 The API® Ammonia Test Kit is mercury-free, salicylate test for fresh and saltwater fish. 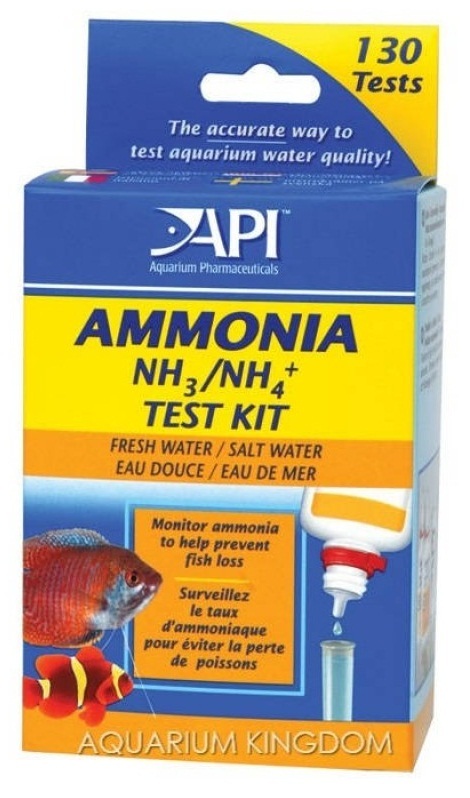 The Ammonia Test Kit tests ammonia levels from 0 to 8 ppm.